In the world of accounting, the savings potential of improved fixed asset management is often overlooked. Assets like land, buildings, transportation, and manufacturing equipment, represent the largest investments most companies make. Sound fixed asset management can yield substantial tax savings in depreciation deductions. Conversely, sub-optimal fixed asset practices can threaten the accuracy of financial reports and negatively impact your bottom line. Establishing the highest standards of depreciation accuracy and best practices in fixed asset management will pay off in savings and efficiency. 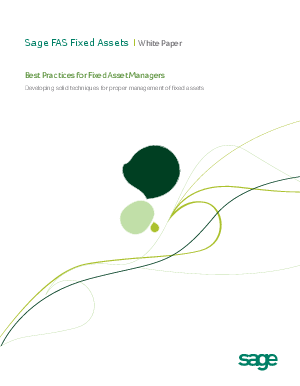 Learn more in Best Practices for Fixed Asset Managers.